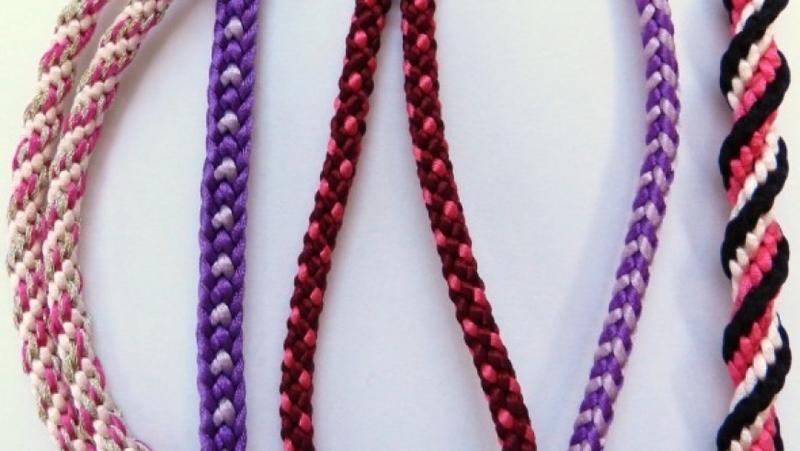 Kumihimo is the term for a range of techniques that have been used in Japan for many centuries to produce a rich variety of braids. This is the first exhibition on the subject in this country and has three sections: tradition, techniques and innovation. Each section is illustrated with framed examples of braids and photographs. The techniques are also illustrated with four different Japanese looms and a selection of natural dye materials. The innovation section shows the application of the braiding technique in neckpieces by Catherine Martin, silver-wire jewellery by Rachel Leach and hats by Anne Tomlin.